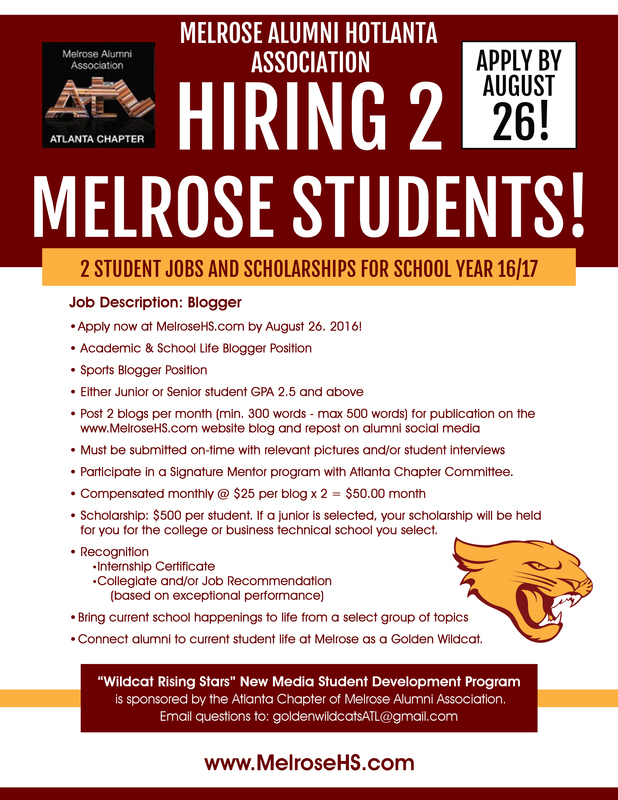 “Wildcat Rising Stars” New Media Student Development Program is an Atlanta Chapter program during the 16/17 school year where 2 students will be selected as paid blogger interns. It revives the ‘old-school’ student reporter and transports any student or alumni to modern student life of being a Golden Wildcat. Orientation. Bloggers will get an orientation to support their success with ideas and structure to make an effective internship. Authenticity. Blogger topics within their ‘beat’ will be their own to reflect how Melrose students are living and thriving at Melrose today as well as challenges they face. Deadlines. Each Sunday afternoon by 5 p.m. (on their designated week, the student blogger will submit their blog to the Alumni editor. Posting. Each student will have guest access to post on the MelroseHS.com and post on alumni social media. Special Events. 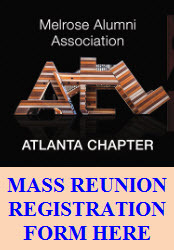 Student bloggers will be invited to participate at special events with Melrose alumni. via APPLICATION HERE by August 26.